You might think that making up your baby’s bed is as simple as making your own. The biggest difference is in what you put in it. 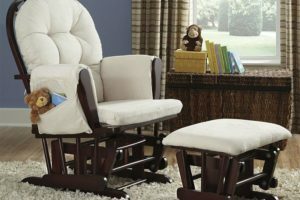 You don’t want much in a baby crib; no pillows, no top sheets, no quilts, etc. You just want the absolute basics: a solid crib and crib mattress as a basis, and then you’ll want to find the best baby sheets possible. It’s important to keep anything extra out of the crib, as this can increase your baby’s risk of SIDS and suffocation. That doesn’t mean you can’t make your crib look nice! There are a lot of choices out there in terms of cute, safe and comfortable crib sheets. If you’re looking for amazing little organic cotton crib sheets, look no further. Magnolia Organics (click here to check price on Amazon) are made from 100% organic cotton and use no fire-retardant chemicals. If you’re a green parent, you’ll be happy to know that Magnolia is eco-friendly every step of the manufacturing process, too. Even the dyes used are eco-friendly! They also proudly state that they’re certified organic by the Global Organic Textile Standard. 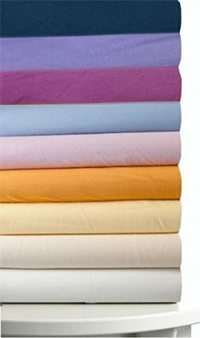 The sheets are very warm, durable and high quality, and shouldn’t shrink after drying. By the way, the manufacturer recommends not drying them in the dryer “for the sake of the environment”, but if this isn’t important to you, they’re perfectly dryer-safe. They come in 9 different colors, and they’re all really nice. They’re also surprisingly cheap considering they’re fully organic, but it’s true! Check them out on Amazon! Flannel crib sheets are excellent for keeping baby warm at night, and Trend Lab (click here to check price on Amazon) make our favorites. 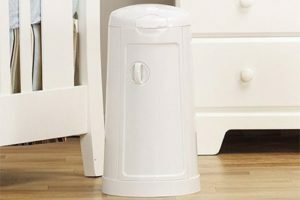 They’re 100% cotton, very warm and durable, and stand up well to washing. If you’re living in a cold area or it’s winter, these are great crib sheets for keeping baby warm at night. They’re fitted well with strong elastic that holds the sheet snugly to the mattress without it bunching up. They come in 16 different colors and styles, some of them being super cute! Polyester doesn’t have to mean bad quality! American Baby Chinelle (click here to check price on Amazon) are the most popular crib sheets, and are high quality, soft and durable. They should fit any standard crib mattress snugly and safely! Don’t be fooled by the polyester; these sheets are very soft. They’re also great for colder weather, and should keep baby warmer than standard cotton sheets do, as they hold in warmth pretty well. The material is tough and should stand up to repeated washing without tearing or pilling. Parents love these sheets, and they happen to actually be the highest-rated crib sheets on Amazon, with a nearly perfect 5/5 rating and over 200 reviews. They’re available in 17 different colors and patterns for both boys and girls, so you’ll be able to find one that looks nice in your nursery. All things considered, these are some great crib sheets that should satisfy and keep baby sleeping warmly, snugly and safely. There are 3 basic types of crib sheets: cotton, polyester, and flannel. There are pros and cons to all of the types, so you’ll have to read a bit about them to make a decision. Cotton sheets are the standard, decent quality sheets available. 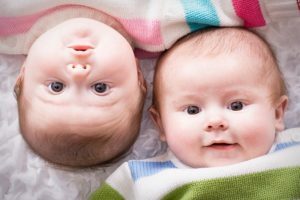 Pure cotton is safe, breathable and soft, and keep baby cool in the warmer months and warm in the cooler months, although there are warmer options available. If your baby has allergies or skin irritations, you’ll be pleased to know that pure cotton is hypoallergenic. It’s also the softest type of sheet, and highly durable and easy to wash. Cotton also doesn’t attract lint easily, so they’re very easy to keep clean and looking nice. The disadvantages of cotton crib sheets is that they wrinkle very easily, so you’ll either have to iron them regularly or live with it. If you choose not to iron them, the wrinkles will fade over time. Cotton also tends to be rough at first use, but they will soften up over time, after being washed a few times. It’s not that big of a deal. All in all, cotton crib sheets are generally pretty great and you can’t really go wrong with them. Polyester is a synthetic material used in all types of clothing and bedding. Being a synthetic, it’s much cheaper than cotton and other natural materials. You might want to run screaming in the other direction when you think of giving your baby polyester sheets, but advancements in the textile industry have made polyester a viable and safe alternative these days. 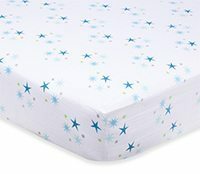 In fact, both satin and microfiber crib sheets are made from 100% polyester! The main advantages of polyester sheets are that they’re much more budget-friendly than other types, polyester tends to be wrinkle & tear resistant, and shrinks less than cotton. 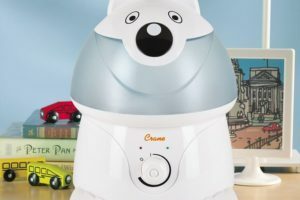 The disadvantages are obvious; polyester is far less breathable than cotton, so they won’t be very good for the summer months, and it’s not nearly as soft as cotton. 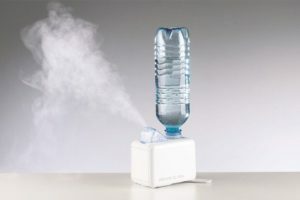 It also doesn’t stand up well to higher temperatures. It’s not easy to buy polyester crib sheets; the quality will vary greatly between manufacturer and the particular blanket itself, so be sure to do your research before buying any. Flannel is a very warm material, making them the ideal crib sheets for winter or cooler nights. They trap warmth efficiently, keeping baby warm even when it’s very cold outside. Flannel varies in how it’s manufactured; it could contain a mixture of any of cotton, wool or synthetics, so you’ll have to check out the individual sheets to see what they’re made of. What’s great about flannel is that it’s lightweight, making them nice for use in crib sheets, and they’re generally very durable and get softer with each wash. The only real disadvantages of flannel is that it can be unsuitable for higher temperatures, as they’re very warm sheets, and it can shrink in the wash. Also, lower quality flannel can pile. Now that you know the different types of crib sheets, you can start to shop for some. Here are common questions, concerns and things to look out for. What Thread Counts Should I Look For? Thread count refers to the number of threads per square inch of fabric; the higher the count, the softer and more durable the material. People tend to put too much emphasis on thread count! 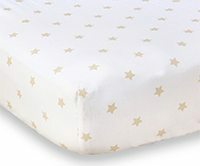 While it is important, it shouldn’t be the only thing you look at when buying crib sheets. In general, any sheets with a thread count of 300+ are good quality, 200+ is acceptable and anything lower than that should be avoided. However, please keep in mind that this doesn’t apply to flannel as flannel has to maintain a lower thread count in order to retain softness. What Size of Sheets Should I Look For? Baby crib sheets should always be fitted to exactly the right size for the mattress, so be sure to measure your mattress before purchasing. The reasoning is safety; a loose sheet can be a hazard if it comes off or bunches up. For extra safety, you can opt to purchase elastic straps that hold the sheet down securely. If you have a portable crib mattress, you definitely can’t just use a regular sheet, as they’re smaller and thinner. You’ll have to look around! Should I Get a Baby Bedding Set? You might have seen bedding sets that come with sheets, bumpers, comforters, pads, and everything else you might need for bedding. While these seem convenient, I wouldn’t recommend them. The reason is that since they try to cut costs to make the set cheaper, inferior materials may be used in the production. Also, you don’t necessarily need all of these things. Buying just what you need, and separately, is the most cost-effective and safe way of doing it. Are the Crib Sheets Weather-Appropriate? Depending on where you live and the time of the year, you’ll want to purchase different types of sheets. Flannel is best for the colder months, but might be too hot for the summer months. Conversely, cotton is great and breathable for the summer months but not quite as warm in the winter. How Many Sets of Crib Sheets Do I Need? Ideally, you’ll want 2 sets of sheets, and you really don’t need any more than that. That way you’ll have one extra to use when the other is in the wash. If you really want to, you can go with 3 just in case of accidents. Mom FAQ: Is it Safe to Reuse a Crib Mattress?